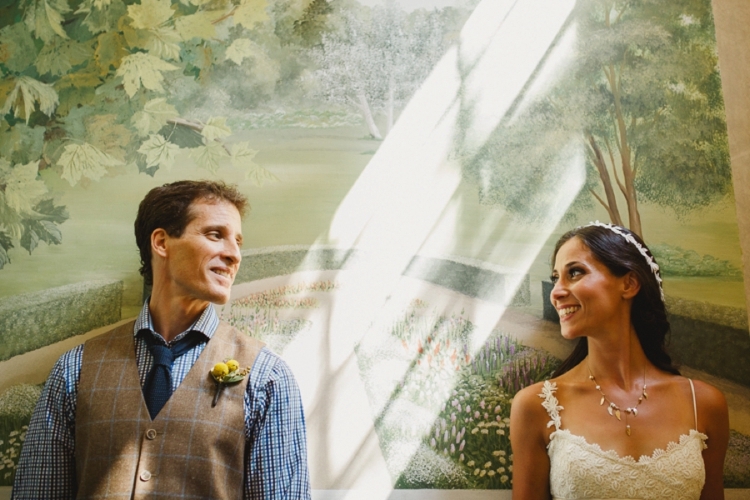 Michelle and Joseph’s wedding is one of the loveliest I have ever set eyes on. 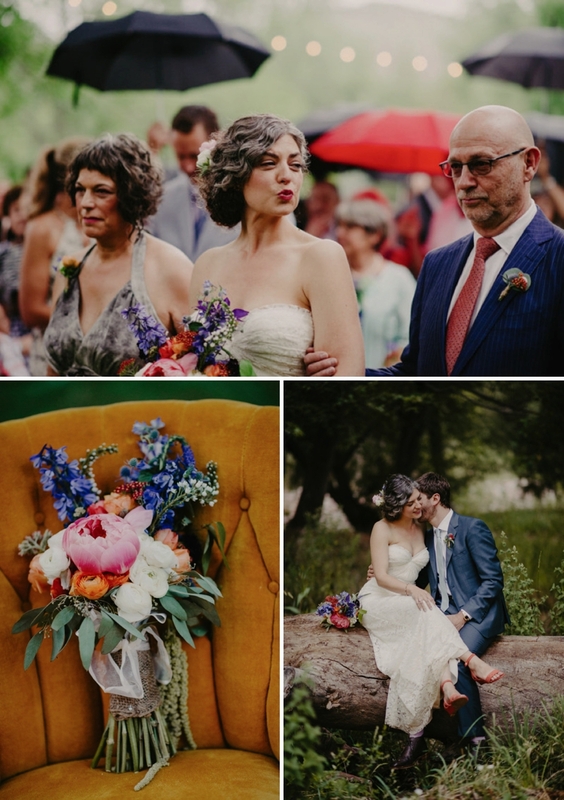 Their wedding concept was ‘Mediterranean meets rustic South’, and was inspired by a blend of the bride’s Israeli heritage, with its rich, vibrant colours, and the groom’s Southern American roots reminiscent of the lush, vibrant greenery of summers in his native Tennessee. What a gorgeous mix! 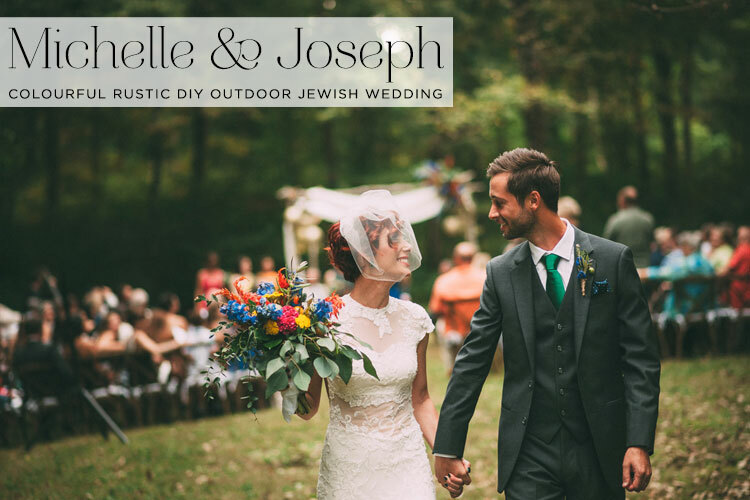 They were lucky enough to get married on Joseph’s family property that has been home to four generations of his family, and being two graphic designers, there are so many gorgeous creative details to lap up. 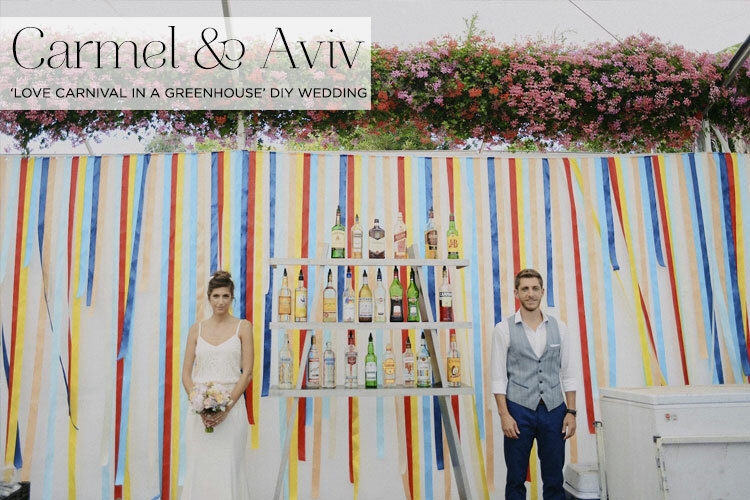 One of the most striking is their chuppah which the two of them built from scratch to match the rustic surroundings. I love that they added in golden paper lanterns as a reference to the golden-dome buildings throughout old Jerusalem. They also hung multicoloured tassels from the ceremony chairs and planted Moroccan-style lanterns around their chuppah to tie back into their theme of ‘Mediterranean meets rustic South’. Read on for all the fabulousness — you won’t want to miss the amazing serendipitous stories of how Michelle found her super cool dress, AND how she and Joseph found their photographers… Clue: it has something to do with a chance Uber Pool ride in San Francisco — yes, seriously! Without further ado, I give you Michelle and Joseph and their dreamy pictures by The Image Is Found. 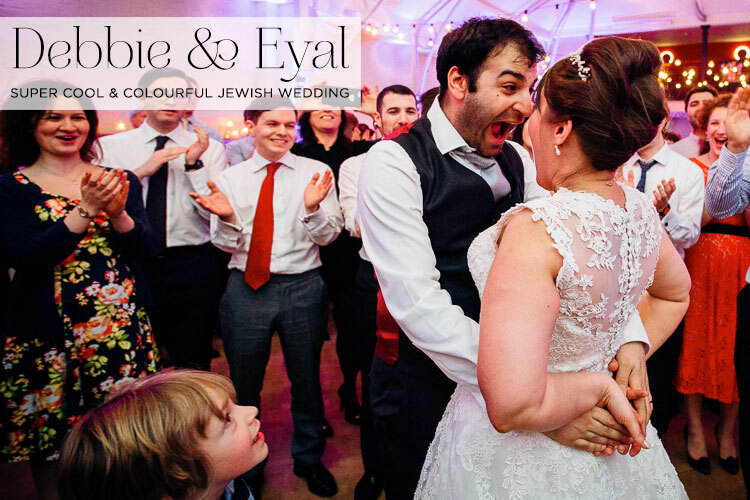 I’m so thrilled to be bringing you today’s thoroughly gorgeous DIY Jewish wedding. 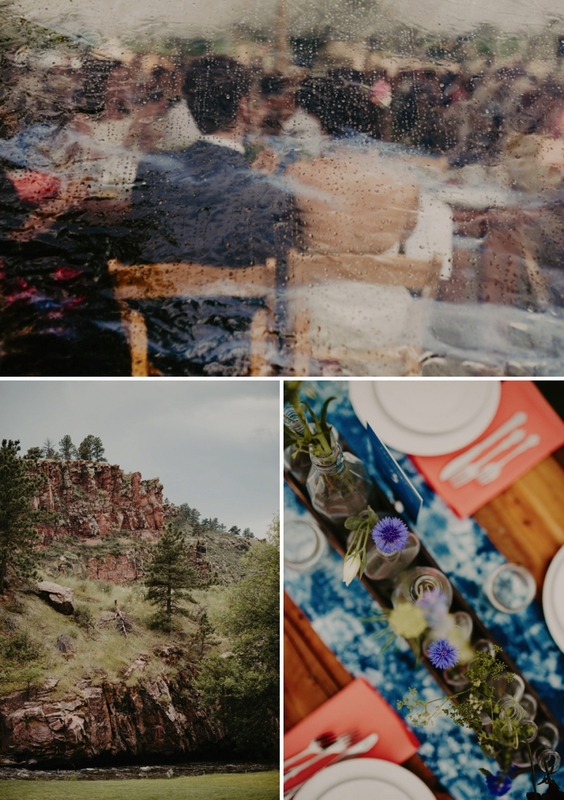 Not only are the creative details ALL lovingly crafted by the bride, groom, their friends and family, but Shannie’s write up of her and Steve’s day really comes from the heart; as did Shannie’s efforts for her entire wedding. 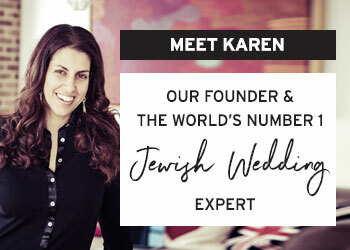 All of the DIY details are divine… the centrepieces, the table numbers, the sweet treats, the astonishingly beautiful ketubah made by Shannie, and how can I forget the creative guest book alternative? Plus I’m sure you’ll notice so much more, it’s one of those weddings I think you’ll need to view multiple of times to take it all in! Oh, and the dog. Don’t even get me started… Storm played a huge part in originally getting Steve and Shannie together (see their ‘How We Met’ story below), so much so in fact, that Shannie even incorporated an illustration of their beloved hound into her ketubah design! And on a totally separate note, let’s not forget Steve who looks super dapper in his jeans – yes he totally rocked the laid-back look! Shannie’s boho head piece and an Indian-inspired hand piece (both made by her very talented mama!) are to-die-for and her Catherine Langlois gown is just a dream. She bought her dress at The Brides’ Project in Toronto, a bridal boutique where all the proceeds go to cancer charities. There’s another branch of The Brides’ Project in America, but as yet, one doesn’t exist in the UK. I would love to help set up a branch in the UK (potentially London) and if anyone reading this can help me kickstart this idea, please do get in touch. 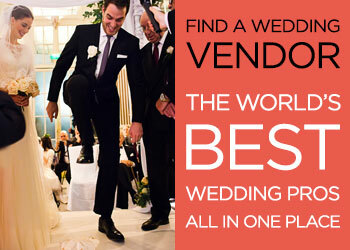 I would love to donate my Stephanie Allin wedding dress in the first instance. 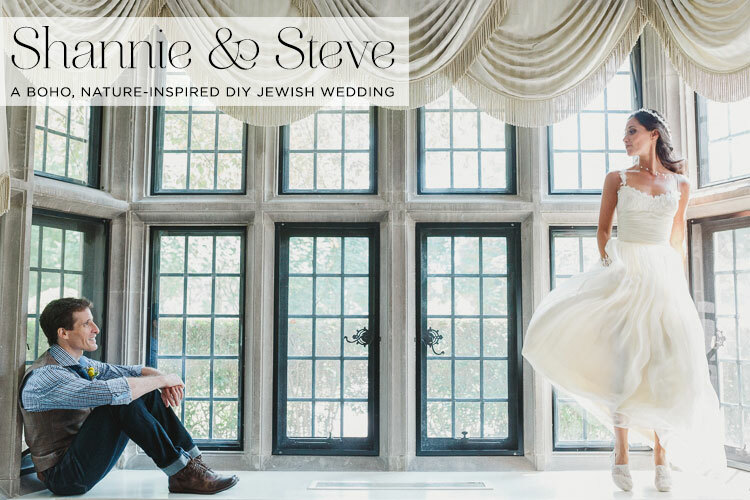 But I digress… Please do take a moment to read through Shannie’s account of her planning and creative ideas — there are some really lovely DIY projects and a generous helping of brilliant advice at the end – plus you’re going to swoon over Niv Shimshon‘s phenomenal photography. Shannie, the Bride: I will try to keep this story as simple as possible, but it may be tough a job! Steve and I had known each other for almost seven years prior to the first time we actually ever said a sentence to each other. My parents own a jewellery shop in the same plaza mall that Steve opened his restaurant. My mum (being the yenta that she is) did try to introduce us when he first opened his restaurant, but I was very shy, I thought he was very handsome. Apparently he was just as awkward and couldn’t find the words to say to me. For years we would eye each other. I would often help my parents at their store and see Steve. He would see me, but we never actually spoke. Years later it was my moving day, the day and I was packing and moving from my condo in Toronto. I remember walking down the street, towards my building, carrying boxes that towered over my 5”1 frame, that I suddenly felt a push and something knocked down my boxes out of my hands. It was Steve’s dog, Storm. She must have escaped from underneath her fence, ran towards me, and Steve right behind her chasing her to grab her. We realised that we had been neighbours for the last three years without even knowing it. It took us seven years and a dog to finally give us the courage to actually start a conversation with each other. The rest, as they say, is history! Most of our wedding was pretty much projects that I assigned for myself to do as well as my mother and Steve. Being an artist, I specialise in doing everything last minute! So the week before the wedding I was hit hard with how much work I set aside for myself. It absolutely makes my day when I read that the couple who’s real wedding I’m putting together found their photographer via Smashing The Glass. That’s exactly what Debbie and Eyal did in order to discover the amazing Marianne Chua — and oh my goodness, aren’t Marianne images awesome? 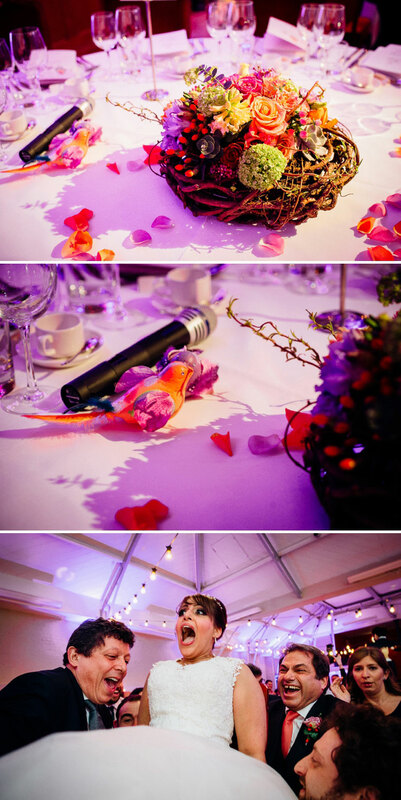 Debbie and Eyal chose a really unusual theme… birds! 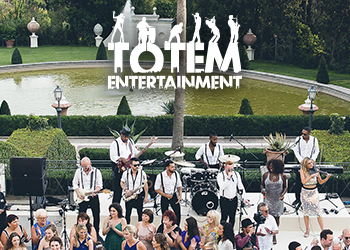 They both adore our feathered friends so weaved them into their wedding stationery, their guestbooks, on top of their wedding cake, into their ‘nest’-style table centrepieces, and even as dancing props later on in the evening! Such an unexpected theme and so well-executed. Not surprisingly with Debbie working in events, and Eyal being a theatre lighting designer, there’s a whole heap of personality and creativity flowing throughout the day. 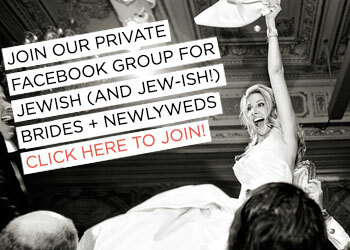 From the wedding logo of two birds, sketched by the bride, to their super fun wedding website, to the surprise song and dance performed by friends, to the highly personalised Jewish wedding ceremony punctuated by musical interludes, this W-Day is overflowing with individuality and character. Debbie’s report is longer than average, there’s no denying it but it’s well worth an in-depth read. Perhaps gawp at the emotive imagery and then come back later for a proper sit down. I’ll admit that parts of Debbie’s report brought me to tears. It’s brilliantly written, straight from the heart, and she gives some of the best advice I’ve ever heard from a bride at the end of the post. An absolute must-read. By pure coincidence, I also had the pleasure of meeting Debbie in the run-up to her wedding when I was giving a talk at Brides The Show last year. After the talk she came over for a chat to ask my advice on her big day. 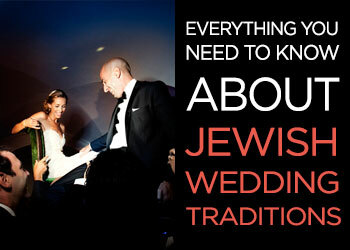 One of the things she wanted to know was how she could come up with an idea for a meaningful chuppah design. Well, without wanting to pat myself on the back, I must have said something right, as what Debbie and Eyal came up with couldn’t have been more perfect. 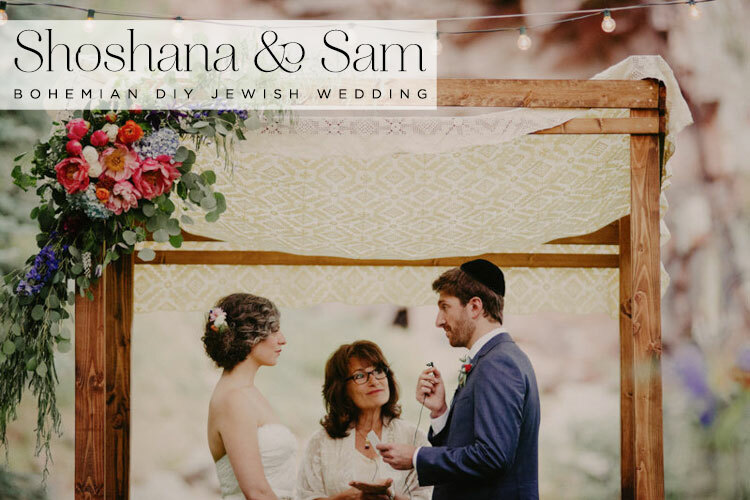 It’s a great example of how your chuppah canopy can be one of the most meaningful and personal elements of your wedding day. I’ll let Debbie divulge the details — it’s so very special. Oh, and the wedding film at the end of the post, by The Dreamcatchers is an absolute must-see too. So much love and happiness oozes out of it, I literally found myself gazing at it thinking how lucky I am to be able to watch this breathtaking film as part of my job. Don’t miss it! Debbie, the Bride: I was moving in with two friends, Alma and Shiri (my BridesMates!) who introduced me to Eyal. He helped us move into the flat actually. We were friends for a few months, and got together the day before he went off to South America for almost four months away. Timing! We thought we’d ‘pick up’ when he got back, but in fact we ended up Skype-ing, writing and essentially starting out as a couple. He returned in February 2013 and the rest was history.